Shower chairs are a valuable addition to the safety and accessibility of your shower. Sometimes a bench seat isn’t enough support, and so these specially designed shower chairs come with arms and a back. 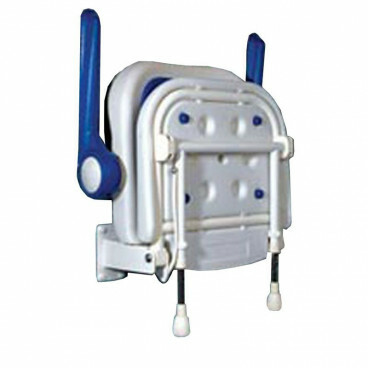 Installing one of our wall mounted padded shower seats can make a world of difference for some bathers. Easy to install, these chairs simply fold up against the wall when not in use. 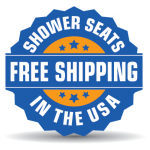 Shower chairs have a sturdy, stainless steel frame with a padded blue seat on top. 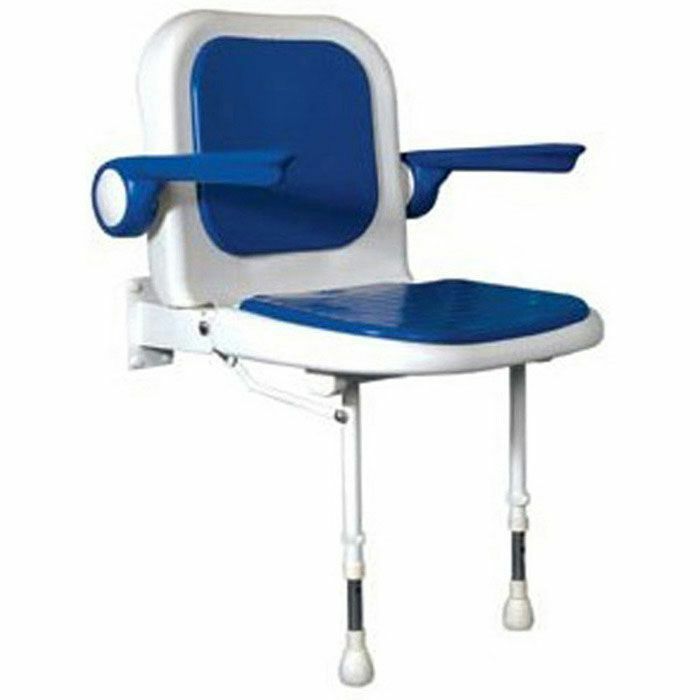 Two height adjustable legs easily fold up and down with the seat and can support up to 558 lbs. 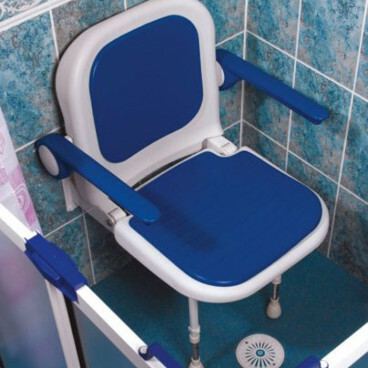 Shower chair arms offer an additional 122 lbs. of support, so bathers can feel safe and comfortable in the shower. Arms support up to 122 lbs.